Small conferences (25); free WIFI. Rooms 47 (3 suites, 4 deluxe, 7 shower only, 2 disabled). 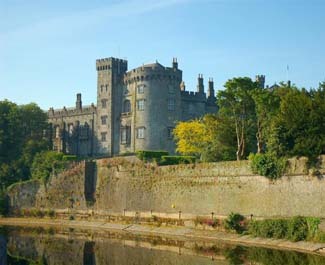 B&B about €80pps (subject to month). Children welcome (under 4 free in parents' room, cots available. Lift. Bar meals available 12.30-9 daily. Harpers Restaurant: L Mon-Sat 12-3pm, Sun 12-4; D Sun-Thu 6-9, Fri-Sat 6-10. Please call for reservations. Early 2/3 D €24.95/€29.95, also à la carte ( starters from €5.50, mains from €15.95). House wines from €24. Establishment closed 24-25 Dec. Amex, MasterCard, Visa. 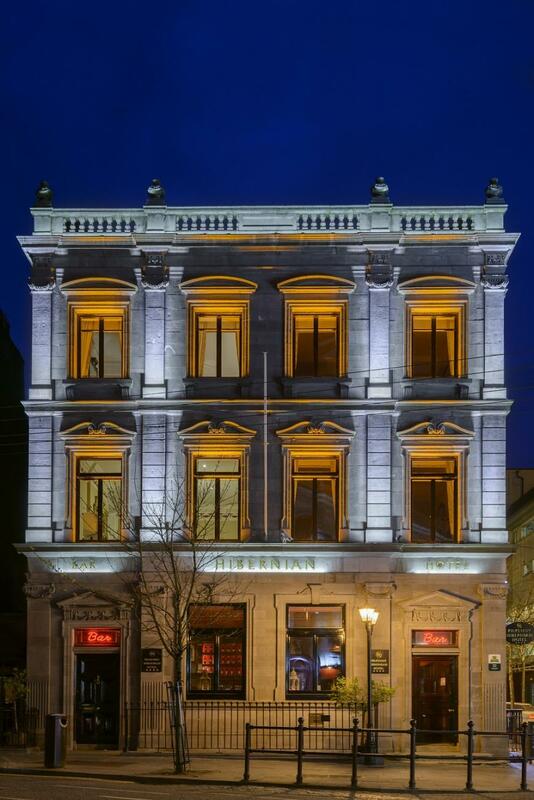 Formerly the Hibernian Bank, this handsome Georgian building has been restored to its former glory to become The Kilkenny Hibernian Hotel. The nine older rooms at the front are particularly spacious and furnished to a very high standard in keeping with the character of the building, and the new accommodation - which has been built to blend in - achieves its aim well. 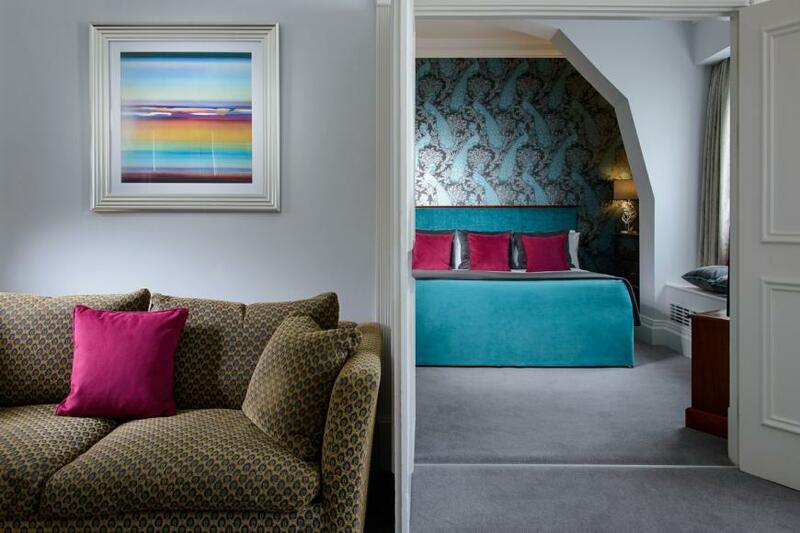 This Kilkenny Hotels newer rooms are also generous and impressively furnished in an upbeat cross between traditional and contemporary styles; they have good amenities, well-planned bathrooms - and the advantage of a quieter situation away from the street. 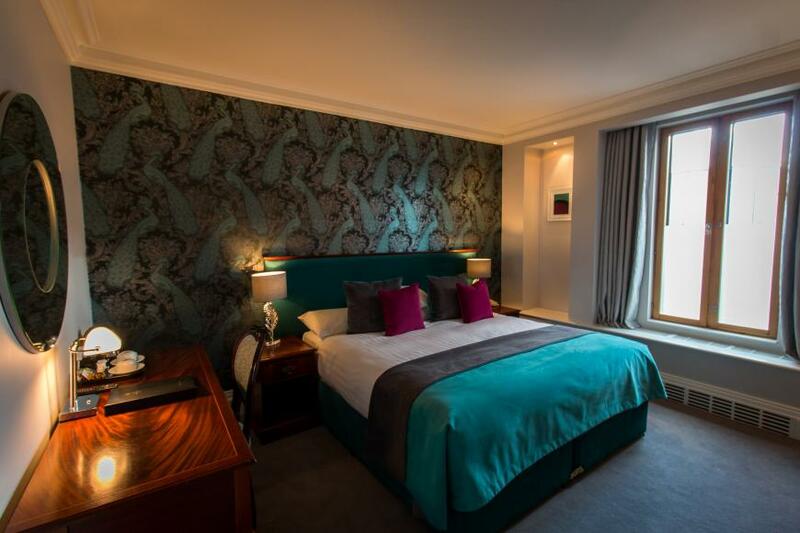 The entire hotel has recently undergone a refurbishment programme and the benefits are especially obvious in the guest rooms. 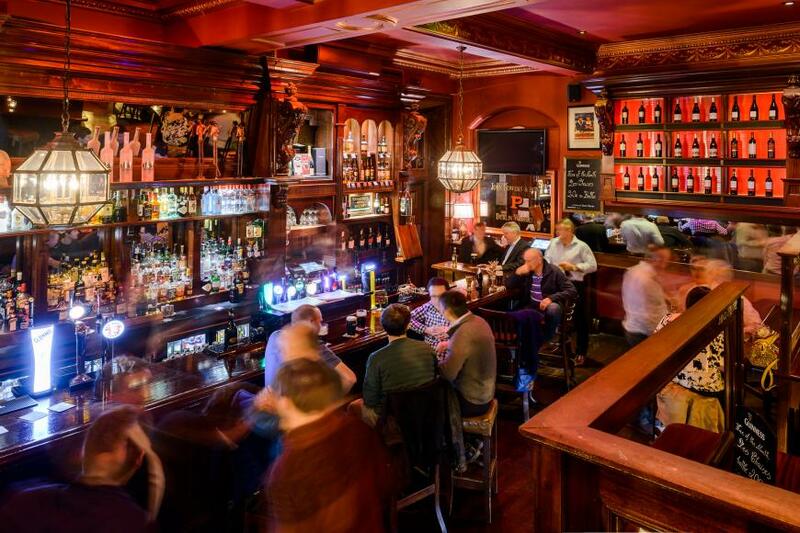 The old banking hall makes an impressive traditional style bar, the Hibernian Bar, set up with comfortable chairs and tables for informal eating, and the hotel restaurant, Harpers (see below), is now established as an independent dining venue with its own entrance from the street. Open since 2016, Harpers Restaurant was built and decorated in retro '50s style in a very successful bid to avoid feeling like a hotel dining room. It's a quietly sumptuous, comfortable room with a dedicated cocktail bar, a warmly relaxing ambience - and the promise of a very good meal. Tempting menus (lunch, early dinner and à la carte) give a contemporary spin on many classic dishes. Typical examples might include a starter of Potted prawns and crabmeat cocktail with lime gel and crisply toasted sourdough and - a house speciality - a 'mandarin' that may be made with various ingredients, a fish paté, perhaps, or chicken liver; either way, a ball of paté is dipped in mandarin jelly, so it looks like a small mandarin orange. It's a clever converation piece starter and the flavours work well. Mains offer a balanced range that is sure to include good meat dishes (always popular in the area), but be sure to leave room for dessert as there may well be some very pleasing variations on the classics there too - quite possibly including an innovative baked alaska that should round off a meal here on a high note. 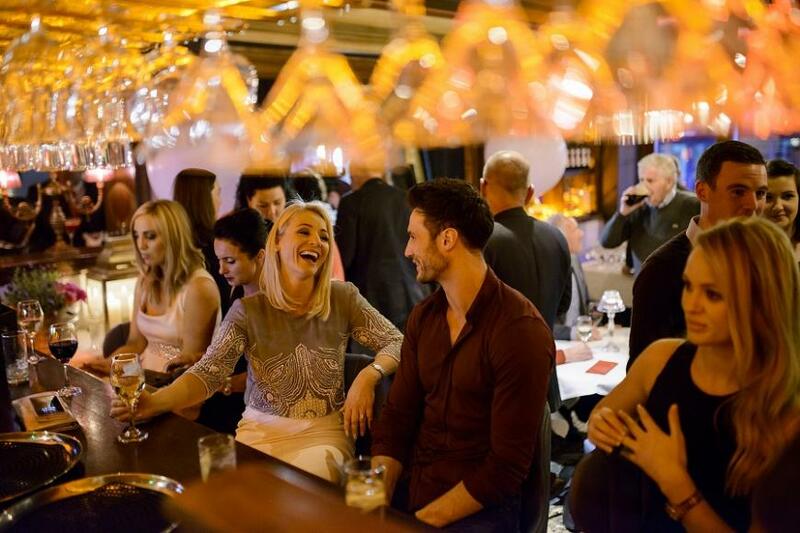 All this, combined with some value in the wine list and exceptional service, makes Harpers restaurant a must-visit destination for local diners and visitors alike. On corner of Patrick Street and Ormonde Street - around the corner from the castle.